Go Back In Time Walking WIth Dinosaurs! *This post was written by me on behalf of 20th Century Fox. All opinions are 100% mine. 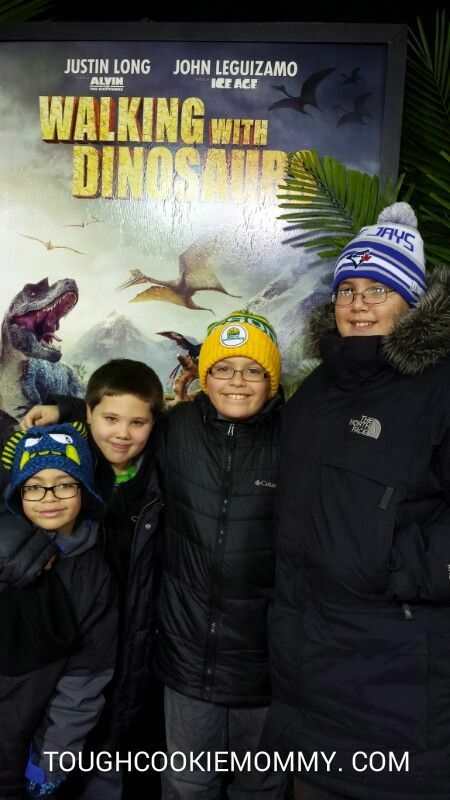 Last weekend, my family and I had the distinct privilege of attending the Walking With Dinosaurs premiere in New York City. My sons and nephews are big dinosaur fans and they were thrilled to have the opportunity to be transported back in time to a period when they walked the earth. I’m not sure who enjoyed the film more, our kids or my husband and I. The thing that makes this film so unique is the fact that, for the first time in movie history, audiences will truly see and feel what it was like when dinosaurs ruled the Earth. 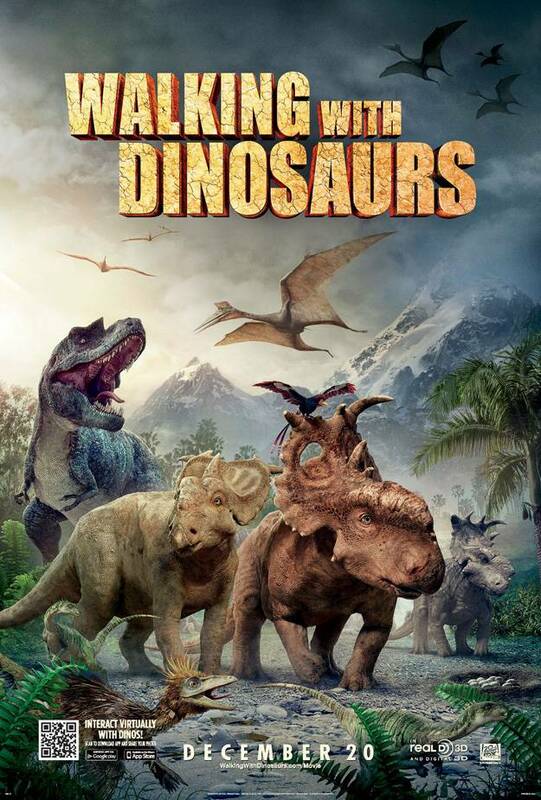 WALKING WITH DINOSAURS is the ultimate immersive, big screen adventure for families. Meet dinosaurs more real than you’ve ever seen as you take off on a thrilling prehistoric adventure, where Patchi, an underdog dinosaur, triumphs against all odds to become a hero for the ages. One of the things that I really enjoyed about Walking With Dinosaurs, as an educator, is that different dinosaurs are introduced throughout the movie and the audience is given a brief description of each one. Some of the information that is included about each one is whether they are a herbivore, carnivore, or omnivore and their individual characteristics. This prompted my seven year old to turn to me throughout the film and ask me lots of questions which I was only too happy to answer. After the film we had the pleasure of meeting actor John Leguizamo on the red carpet. He was the voice of the prehistoric bird Alex in the movie and was Patchi’s companion throughout his life. Mr. Lequizamo was very friendly and down-to-earth and did not hesitate at all when I asked him to take a photo with my family. It was refreshing to see him at the premiere with his own family and to be so warm and accommodating to the families that attended the event. He is truly a role model in the Latino community. Loved meeting John Leguizamo on the red carpet! 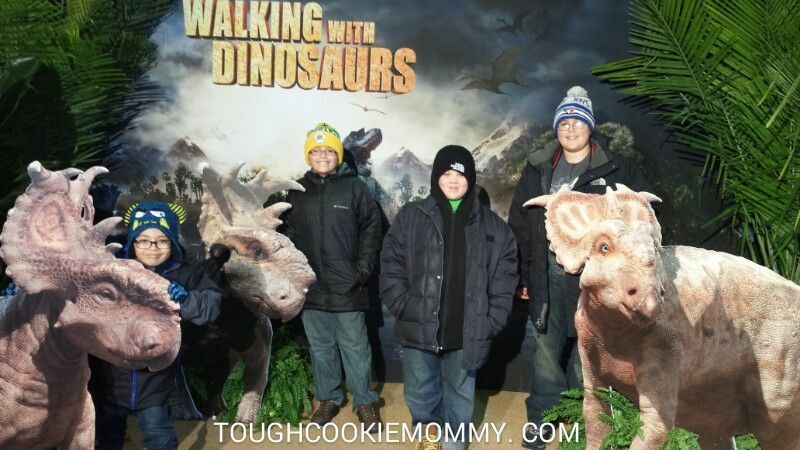 If you haven’t seen Walking With Dinosaurs yet you must make time to do so with your family during the holiday season. It will truly be an unforgettable experience that you all will not soon forget. © 2013, Tough Cookie Mommy. All rights reserved. We are super excited to take our son to see this! This sounds like a movie I would thoroughly enjoy even though I have no children-I used to work in a science museum where we had a massive dinosaur exhibit for an extended period of time-I loved working with the children and seeing the amazement on their faces. My nephew would get a kick out of this movie. I might too. 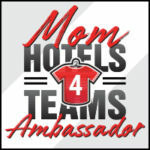 What an awesome experience for you guys! We saw a preview for this over the summer and my boys have not stopped talking about seeing it ever since. We can’t wait. My boys would have loved this. It looks like you all had an amazing time. I can not wait to see this with my oldest, my youngest might be a bit too little yet. Aha! This brings back memories, lol! “The Land Before Time” – always what pops up on me whenever I see this haha! That looks like so much fun, how great for you and the kids too! How exciting that you got to meet the actor! My kids would loved to have watched this. They happen to be huge dino fans. I think I would enjoy this film myself. I have seen the previews and was interested in taking the kids, but having read your review now I know we are going to go see this for sure. Sounds like a cool film! My todder love dinosaurs, and is quite the movie junkie (much to my chagrin) sounds like something we should check out. Wow, what a fun day you had! I love dinos! Very cool! Sounds like a good family friendly movie and night. Your kids must have been so excited to get that picture taken. My son loves dinosaurs so I am sure he would love this as well. Very cool that John Leguizamo was there. I loved him in Ice Age as Sid. I agree with you when you say he is a role model to the Latino community. Its nice to see that our children have someone to look up to that have the same heritage. 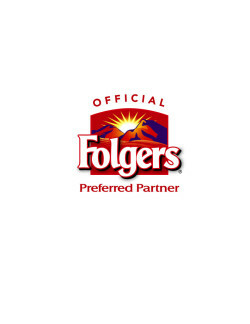 I am married into a Latino family and let me tell you..its FUN! I love it! 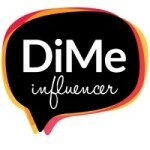 I have a much bigger appreciation for Latinos and what they do for each other! Xo. 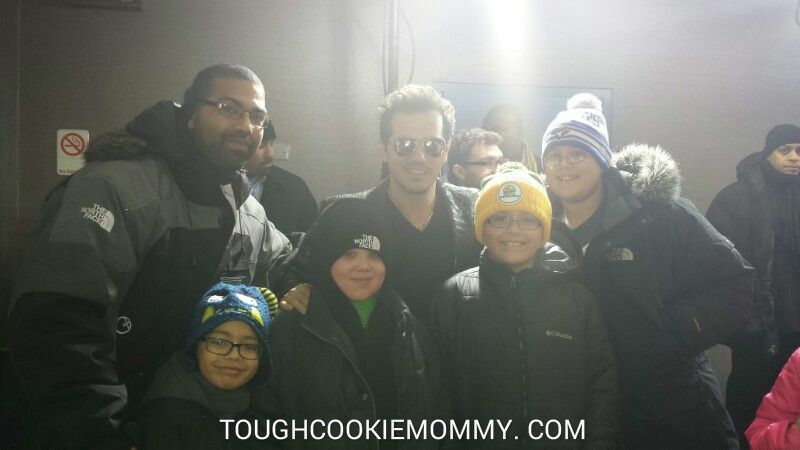 How lucky are you to meet John Leguizamo! Love the guy. Looks like you had a fun and educational time. We saw this and it was a great movie. The special effects were very realistic and I love that guy John Leguizamo. He was hysterical recently in Chef. We own this movie on DVD and my grandsons watch it almost daily! They love Patchi and the dinosaurs are so realistic! My nephew loves his Dinosaurs, this looks like something he would love to watch. Looks like a great learning experience too! my daughter and i went to see this with her girl scout troop, it was really cute! This looks great, and how exciting to get to meet John Leguizamo!